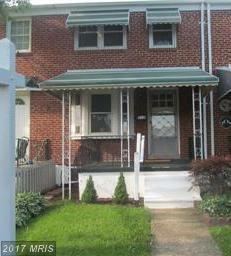 BEAUTIFUL 3 bedroom home for rent in Middlesex! * Features include: NEW carpet * Stainless Steel appliances * FRESH paint throughout * New roof * Finished family room in lower level * Covered front and rear porches * Parking pad in rear * A turn key home! * Pets allowed on a case by case basis * Available immediately! 318 Torner Rd, Baltimore, MD 21221 is a 1 bathroom, 1,024 sqft townhouse built in 1954. This property is not currently available for sale. 318 Torner Rd was last sold on Aug 25, 2017 for $199,900 (99% higher than the asking price of $1,200). The current Trulia Estimate for 318 Torner Rd is $131,157.